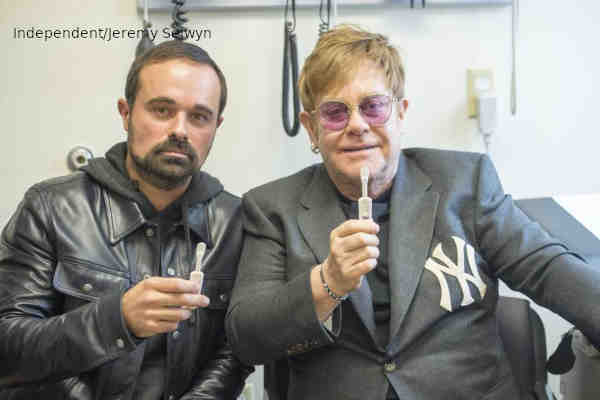 In an op-ed, out British singer Elton John calls for everyone to know their HIV status. John, who has been involved in the fight against HIV/AIDS since the late 80s, and Evgeny Lebedev, the owner of the Independent newspaper, co-wrote a moving opinion piece published in the paper. “Let’s together reach all those living with, affected by or at risk of HIV/Aids. Let’s get them the help they need and ensure no one is left behind, wherever they may live and whoever they may be, so that we can truly create an Aids-free future,” they added.